A reliable source for Warehouse Mezzanines information and a resource for accessing leading Warehouse Mezzanines and suppliers. Material handling is an incredibly important part of almost all industries, and manufacturing industries especially require a significant amount of storage space. 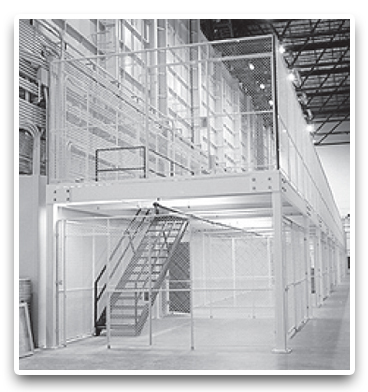 This is where warehouse mezzanines come into play, as these mezzanines can extend the amount of storage or working space that you have within a warehouse by utilizing the unused ceiling space that is found in virtually all warehouses. Warehouse Mezzanines Material handling is an incredibly important part of almost all industries, and manufacturing industries especially require a significant amount of storage space. 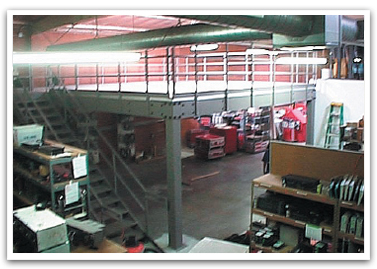 Warehouse Mezzanines – Abtech, Inc.
Because each application comes with its very own set of requirements and specifications, the equipment platform must be designed in a way that adheres to these needs, ensuring a perfect fit for the application. For example, while some equipment platforms do not need to support a lot of weight as they are simply used for product storage, they can afford to be a little more light weight than an equipment platform that must support the weight of manufacturing equipment. This is why working with a trusted equipment platform manufacturer is so important, because without the expertise, knowledge and experience in the industry, the product you might receive may appear to be what you need but could fail at a crucial point in your manufacturing process. A lot of equipment platform manufacturers offer custom designs based on your needs and specifications as well as offering on-site installation services in order to ensure that your equipment platform is going to offer the most value to your application. So while these products can provide you with more space seemingly out of thin air it is important to know that there are a lot of factors that go into constructing them in order to fit a certain application.